Dave Brubeck & Paul Desmond - Форум "Клуба коллекционеров"
One of the rarest of all early Dave Brubeck recordings, this Fantasy LP features pianist Brubeck, altoist Paul Desmond, bassist Ron Crotty and drummer Lloyd Davis in top form on six standards. Although Brubeck would record most of this material again (including "Let's Fall in Love," "Stardust" and "All the Things You Are"), these versions are often quite a bit different than the more familiar recordings. There was plenty of magical interplay to be heard during that era between Brubeck and Desmond, making this set worth an extensive search. 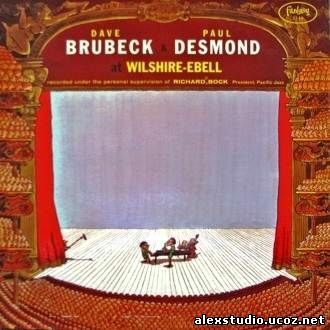 Recorded at Wilshire-Ebell College, Los Angeles, CA. June 20th 1953.